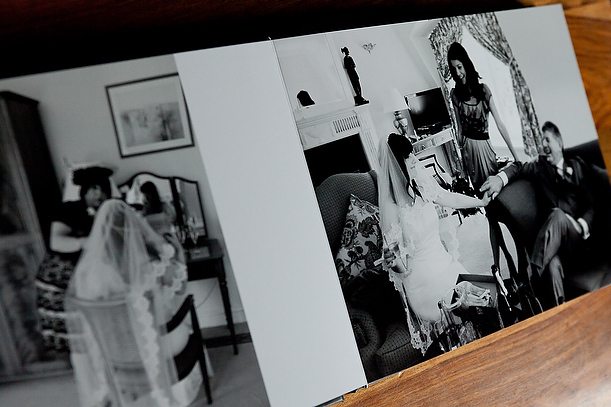 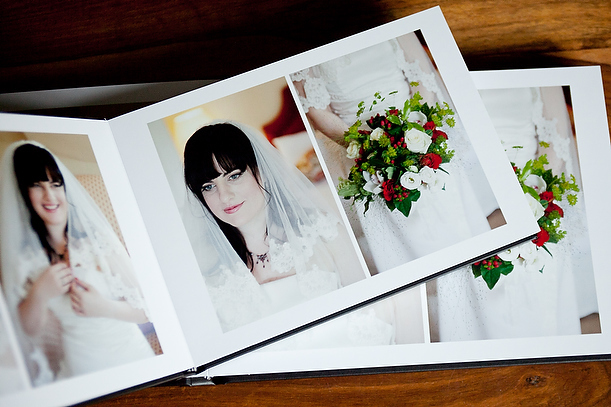 We have just had a delivery in of some new client albums. 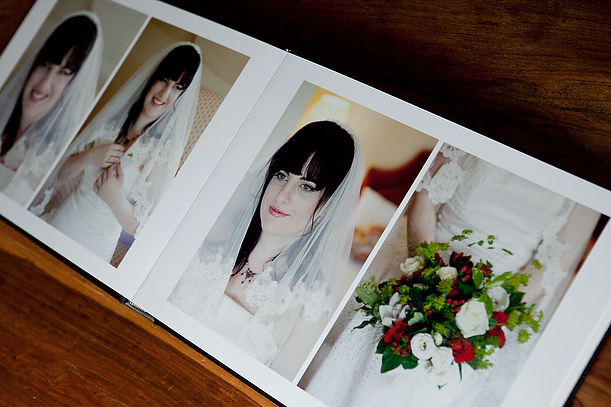 Before sending them off I thought I would take a few photographs of them to show off what is possible with wedding albums. 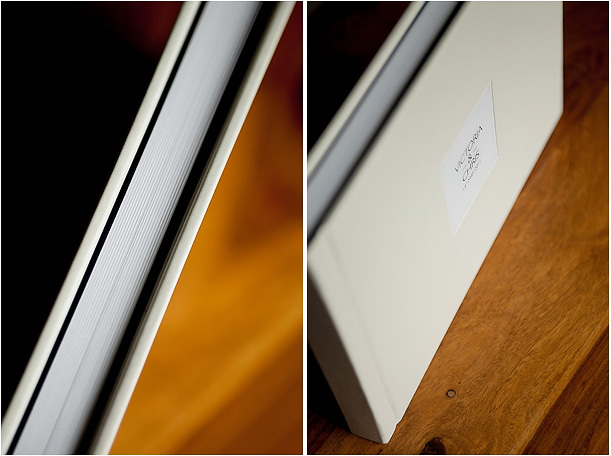 The first is a UK made cream leather album with cameo cover. 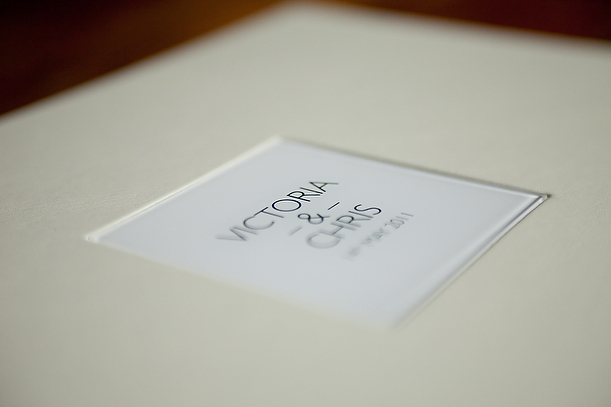 I provide a custom layout to the album company with the client’s names and date of their wedding to use for the motif. 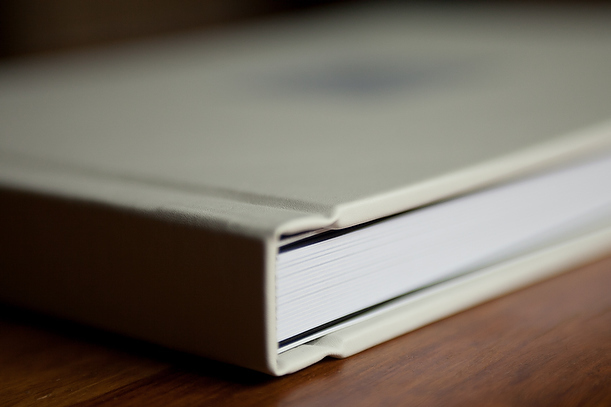 All albums are designed with a timeless, no gimmicks approach. 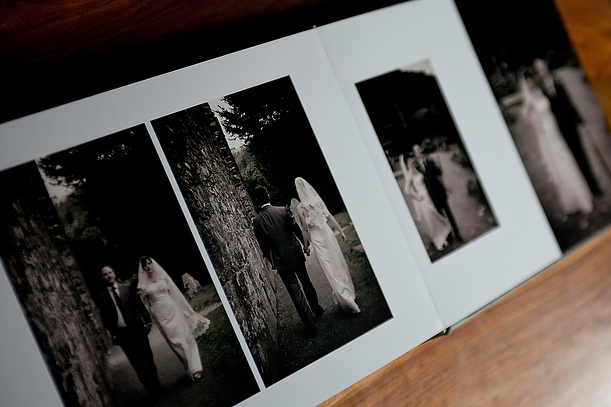 I want our couples to be able to look at these albums in 5, 10 or 30 years time and not feel like they have dated at all. 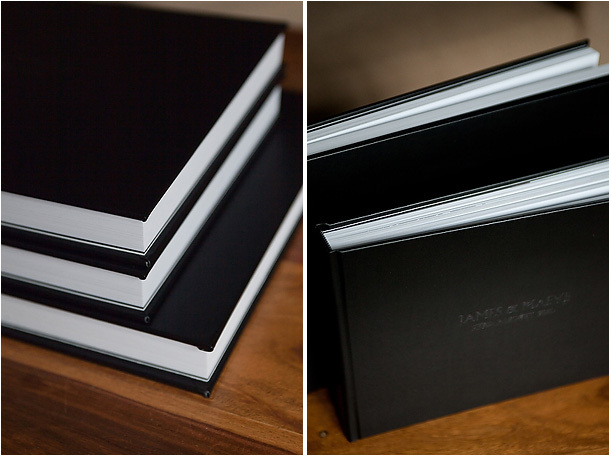 My background in Graphic Design and Retouching comes into play when creating bespoke albums for our clients. 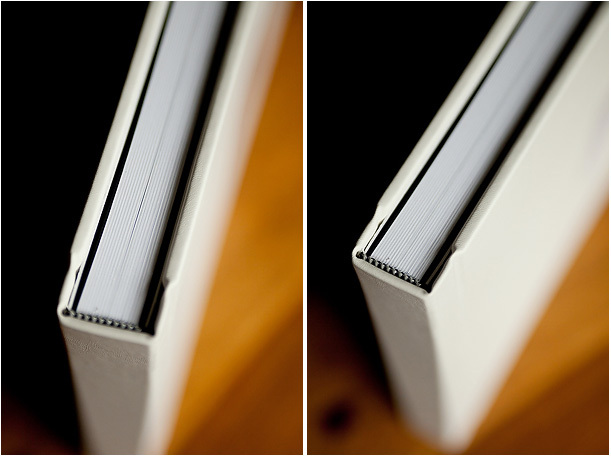 All of the images in the album are finessed in Photoshop and have been realistically cosmetically retouched by me. 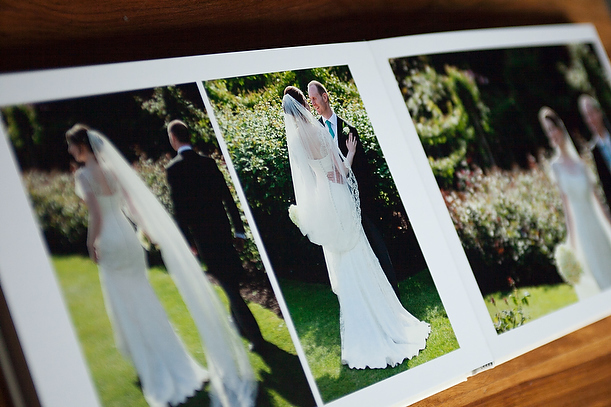 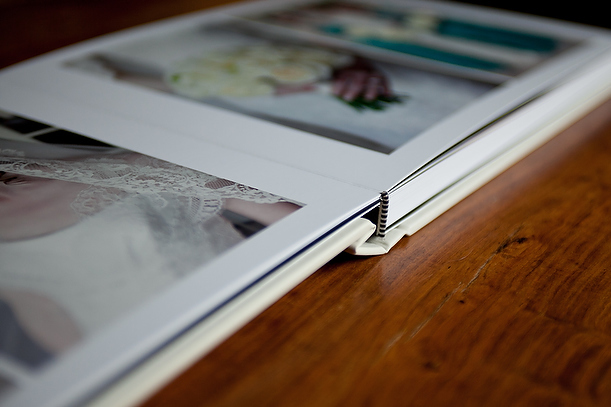 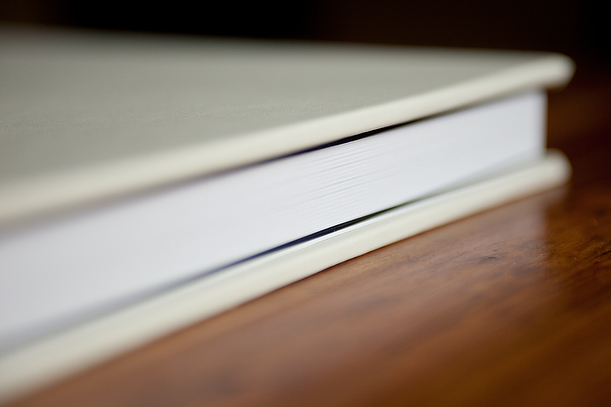 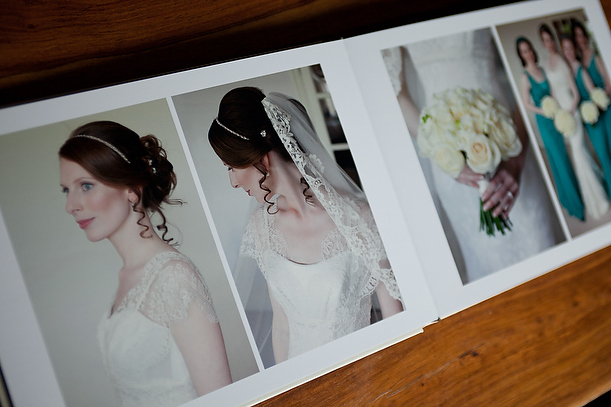 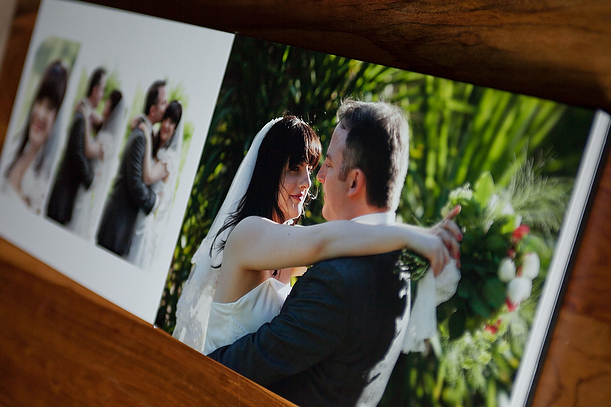 This album is a 14″ x 10″ album and it has 20 double page spreads or 40 sides. 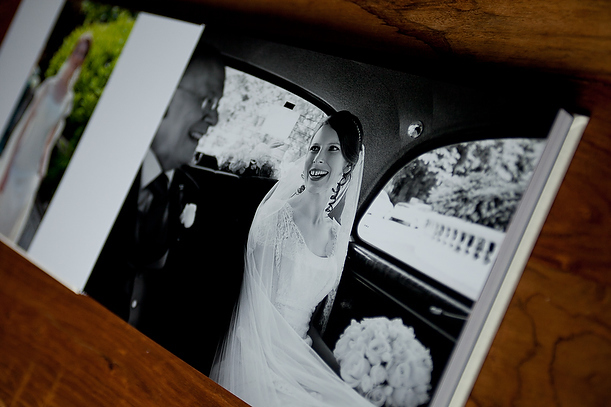 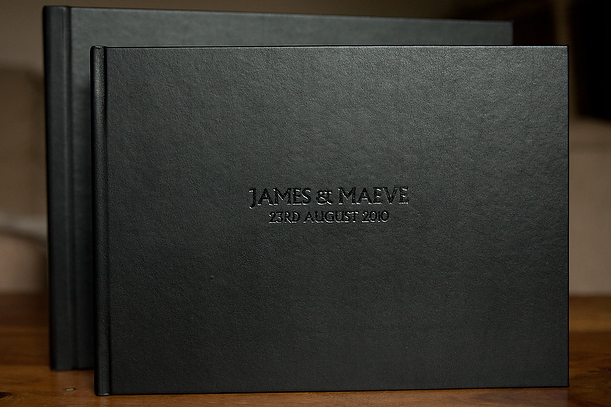 James & Maeve’s wedding album was also made in the UK and has a black leather cover with their names done in blind embossing. 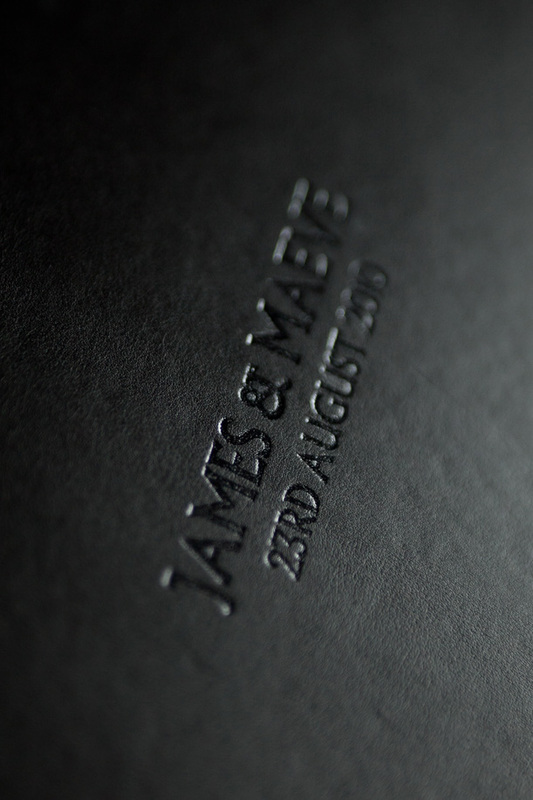 This is only available on the black & brown leather cover options as it does not show up on the cream leather albums. 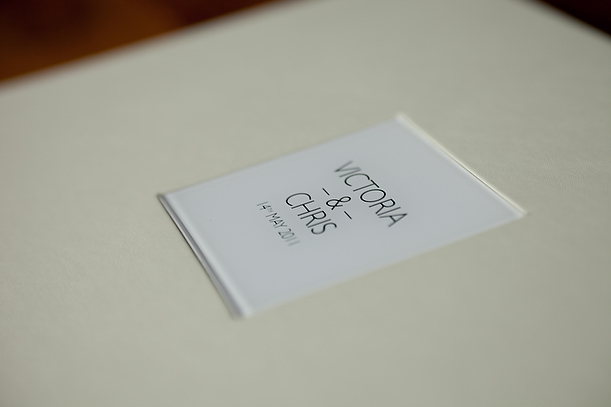 The main album here is also 14″ x 10″ and the couple ordered two parent albums which are 12″ x 8.5″ in size. 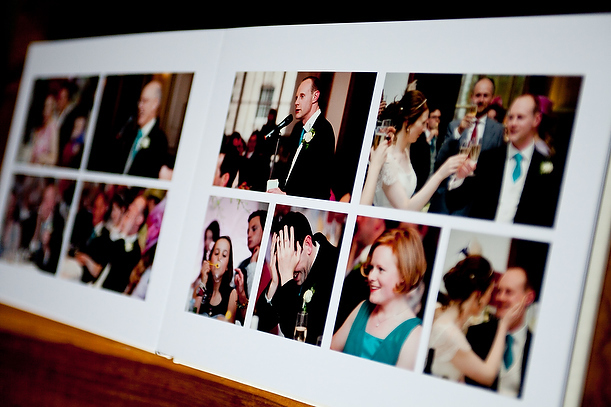 These albums have got 26 double page spreads or 52 sides with 107 images. 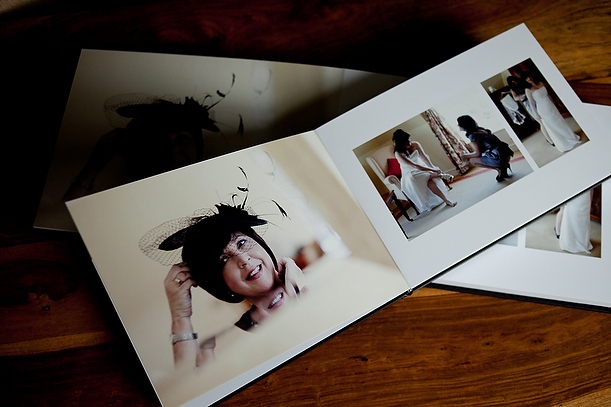 This shows the parent album on top of the main album. 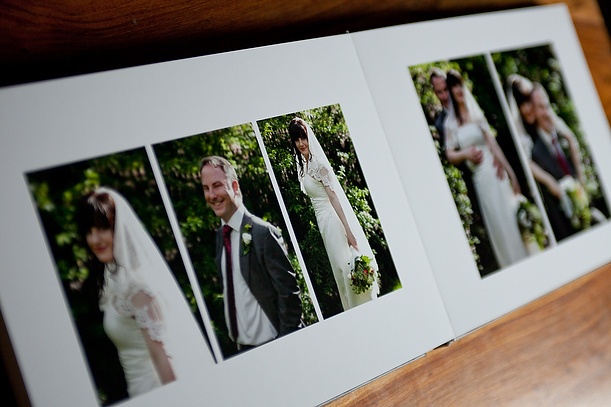 These albums can all potentially take up to 50 double page spreads or 100 sides, depending on the couple’s requirements. 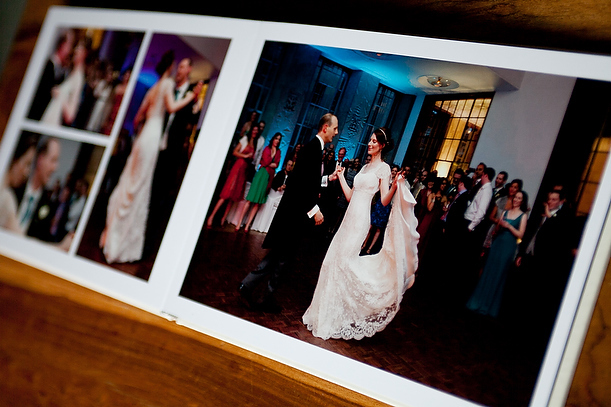 Beautiful albums! 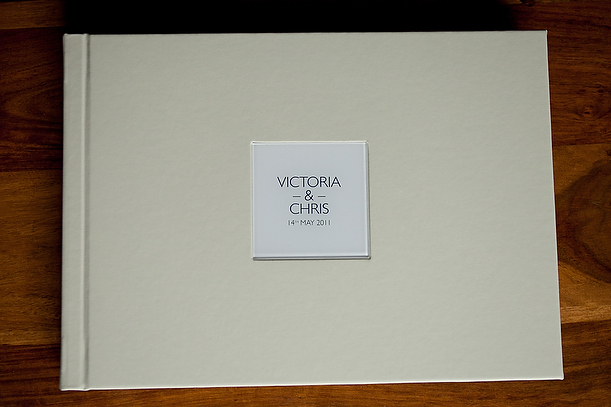 Especially love the cream leather one!